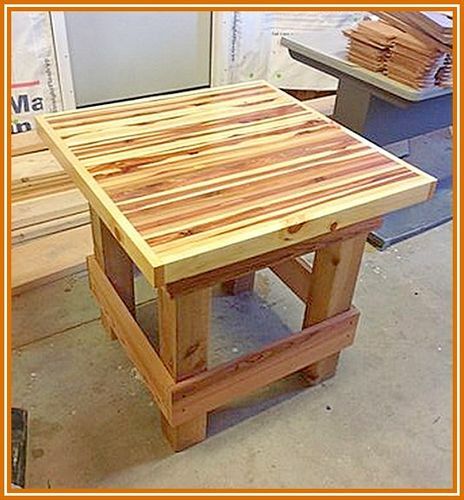 The is the end Table I built in my woods class at Wahoo Public Schools. It is two foot by two foot and measures three feet tall. I used rough cut red oak and an assortment of wood on the top. Sweet looking top on the table. Nice job. Very nice Table. Top is interesting. Looks better right side up. It’s a nice table and the top and wood is so beautiful. Very cool table Q. Well done.